Liquid Telecom has completed a 21 kilometer fibre network in the Garissa County CBD ultimately becoming the county’s first Metro Fiber optic network. The project completed at a cost of Kshs. 60 Million fully covers the Garissa Central Business District and includes a second metro ring to ensure continuous service in the event of any cable cuts. The project, which took four months to complete, has so far connected 30 clients with another 74 Garissa connections in the pipeline according to Liquid Telecom. Customers on the Liquid Telecom network in Garissa include Equity Bank, Kenya Commercial Bank, Kenya Red Cross, Garissa County government and all the town’s universities and colleges. Liquid plans to move new and existing clients in Garissa who previously connected to Liquid Telecom Kenya’s microwave and VSAT networks to the fiber network. 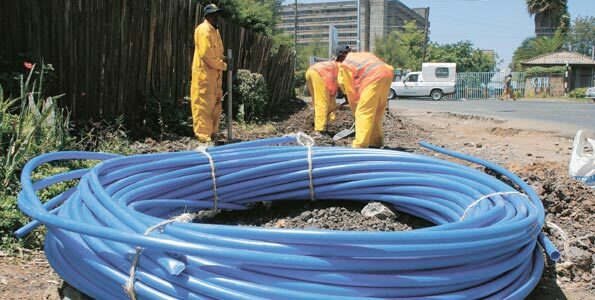 Liquid Telecom has been seeking to connect all counties in Kenya with fiber optic, with 39 out of the 47 counties now covered. In 2014, Liquid Telecom set aside Kshs. 4.4 Billion for the project to the counties. The company further unveiled an ambitious plan seeking to invest Kshs. 8.5 Billion into establishing a fiber optic network along the Lamu Port-Southern Sudan-Ethiopia Transport Corridor (Lapsset) routes. In December 2015, Liquid Telecom through its subsidiary Liquid Sea issued a request for tender to international companies involved in the construction of submarine cables seeking to build 10,000 kilometers of sub-sea cable linking Africa to the Middle East and onward to Europe. The cable network will directly connect all coastal countries along the east coast of Africa and will include landing stations in several ports that are currently not served by existing sub sea cables.